One of the central tenets of the Kagyü and Nyingma lineages is that everyone has Buddha’s wisdom as the basis of their being. This wisdom mind goes by many names. Buddha nature, bodhichitta, self-awareness, sugatagarbha, mahamudra, and rikpa are but some of the words used to indicate this enlightened essence that is our nature. It is the mind that is pointed out in what the Vidyadhara called transmission; it is the wisdom that is revealed in the context of abhisheka. The Shambhala tradition calls it basic goodness, dö-ne sangpo (Tib. gdod nas bzang po), “primordially good” or “good from the beginning.” To point out and uncover this wisdom mind is the path that our lineages present to us. Our journey is one of greater and greater contact with wisdom, a journey of touching our heart, recognizing our mind, and sustaining that awareness. So if that’s our nature, what’s our problem? Why is this journey necessary? Which has the characteristic of being separable. Which have the characteristic of being inseparable. Obscurations, which cover wisdom mind, are not intrinsic to our nature; they are lobur(Tib. glo bur), which is a difficult word to translate effectively. It means not essential, removable. One way of rendering it in English is “incidental.” While this is true, it gives the factors that stand between us and enlightened mind very little gravity. “Accidental” in its classical sense works well, but its modern usage falls too heavily on the side of unintentional, whereas our obscurations are the result of our previous intentional acts. In colloquial Tibetan, lobur has the sense of sudden and temporary. The line, “Suddenly free from fixed mind,” from one of the Vidyadhara’s Shambhala terma, is an instance of this usage. 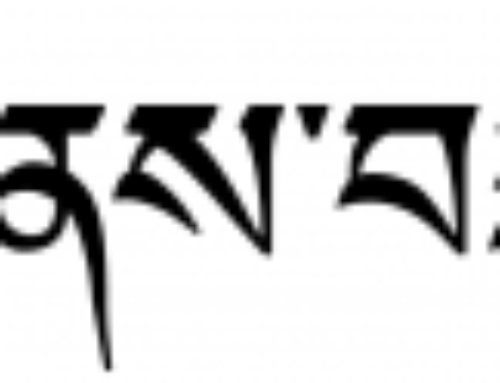 Lobur has this sense of “temporary” when applied to obscurations as well, but as Surmang Khenpo recently pointed out to us, we have to be careful of the connotation here. The obscurations, our cocoons, are indeed “temporary,” but only as compared to our buddha nature, our basic goodness. In fact, our obscurations may have been with us for many lifetimes. “Temporary” seems to have too fleeting a sense to be applied to such long-standing impediments. Probably the most accurate rendering of lobur in English is “adventitious.” It has the right meaning, “added from another source and not inherent or innate,” but it’s an awkward term to use. It isn’t part of our daily speech and for many of us its precise meaning does not come readily to mind. It describes our obscurations accurately, but its formal, somewhat obscure tone doesn’t fit well with “our little problems,” our obscurations of wisdom, which always appear to arise in-our-face: gritty and ready-at-hand. Lobur may be a case where selecting one all-purpose translation is not possible and we have to allow ourselves to use a range of terms, letting context dictate whether we hold to the technically correct “adventitious” or choose a word that better fits the circumstance.